Each hardback copy ordered via this website costs just £10 (with FREE postage & packaging in the UK) instead of the RRP of £12.99. In order to confirm your order, you will be contacted shortly after you send this form. "For any student of the modern media, and for every journalism course in the country, this book is absolutely essential reading," Kevin Cahill, freelance investigative journalist who exposed how Jonathan Aitken sat on the board of a British arms company when it supplied naval guns to Iran. "Pell is the most dangerous man on Fleet Street," Piers Morgan, former editor of The Mirror, speaking about the book on 'Breakfast With Frost’, BBC1, 13.03.05. "The Fleet Street Sewer Rat is an important book, mainly because of the world that it brushes over and the detail on how several major newspaper stories have been constructed and presented to the public... The Sewer Rat book accurately portrays the atmosphere of paranoia that you detect around many media organisations, and it demonstrates how rumours, half truths, and speculation - as well as information that has been stolen or simply invented to make a story appear to stand up - are traded on a regular basis." Julian Henry, director of Henry's House PR consultancy, The Guardian, 04.04.05. "The Guardian, which sneered at other newspapers including The Sunday Times for using material gathered by Pell, is said to have secretly used him to its advantage. The book claims Pell targeted Harkavys, Jonathan Aitken's solicitor, after The Guardian and Granada Television had run up a £2.2m legal bill successfully defending a libel action against the former minister." The Sunday Times 13.03.05. "After this book about legendary bin scavenger Benji Pell, it's time for the Press to clean up its act," Press Gazette 15.04.05. 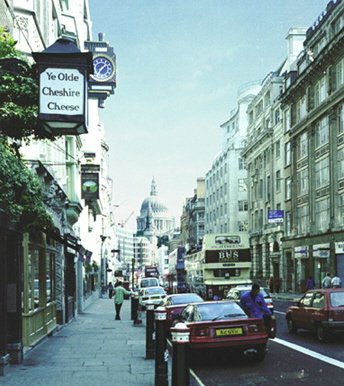 The FOIA Centre is a specialist London-based company that can obtain information for you using the Freedom of Information Act (FOIA), the Environmental Information Regulations, the Data Protection Act, and other "open-access" laws in the United Kingdom -- as well as in America, in Europe and throughout the rest of the world. Established in 2001, the FOIA Centre was Britain's first company offering to obtain for clients information using "open-access" provisions. Visit our website, at www.foiacentre.com, to find out more. THIS is the story that “Fleet Street” would rather not be told. Despite the apparent fearlessness of tabloids and broadsheets alike in exposing the antics of the rich, the famous and the powerful, they would rather this particular “stone” be left unturned. For underneath this stone – in the pit of the gutter – lies some of the most tawdry and questionable activities of members of the British Press. 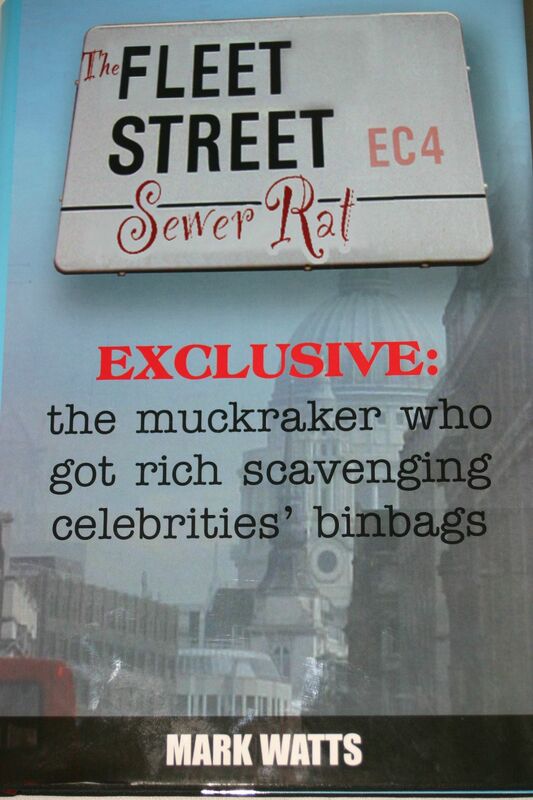 The Fleet Street Sewer Rat, a fascinating and revealing book written by an “insider”, does not flinch from shedding light on Fleet Street’s grubbiest corner. Its central character is Benjamin Pell, better known as “Benji the Binman”. He made his fortune – and became infamous – by raiding the rubbish of lawyers and other professional advisers to famous clients and then selling documents he scavenged to the Press – and others. Mohamed Al Fayed and Sir Richard Branson are among those who also received the “fruits” of his nocturnal prowling. Sir Elton John, All Saints, Robbie Williams, Jonathan Aitken, Neil Hamilton as well as, er, Mohammed Al Fayed and Sir Richard Branson, are among the long list of famous people who fell victim to him, and all of whom feature in this book. A thief, a cheat and a liar, Pell is possessed of a formidable intelligence who lives on the edge of madness. A High Court judge described his method of making a living as “despicable” and “contemptible”. Among other epithets that Pell has attracted, he has been dubbed a human dung beetle. The book exposes his activities as well as lifting the stone from muck-raking journalism in Britain at its very best, at its very worst, and at its most hilarious. The book is for anyone interested in Britain’s media industry: how journalism works, how the Press digs out stories, and how the media has become enfeebled in its capability of covering serious news. It is for anyone interested in current affairs, in the showbiz world and the celebrities who inhabit it, and the stories behind some of the biggest headlines over the past few years. It does have a lot of literals due to editing mistakes, but the strength of the source material makes this book highly revelatory. For journalists and students of journ-alism, as well as media lawyers, this book is required reading. It provides a unique insight into investigative journalism in practice, how media law works in reality, and the often rancorous politics of newspapers. It sheds light on Britain's most high-profile public-relations "middle man", Max Clifford, who sometimes helped Pell to sell his smelly stories to newspapers. The recommended retail price of this hardback book, published by Artnik Books, is £12.99.